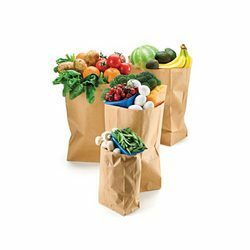 Pioneers in the industry, we offer khaki kirana bags, paper bags and kirana bags from India. We are manufacturing food grade Kirana orKhaki Kirana Bags. Also we provide single & two color printing bags as per customer requirement. 1kg, 1/2 kg, 2 kg, 5 kg etc. 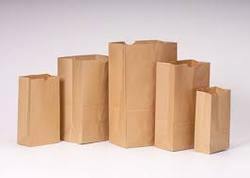 This is conversion rate of paper to grocery bags. You have to provide us paper, we will make the bags. Looking for Kirana Bags ?